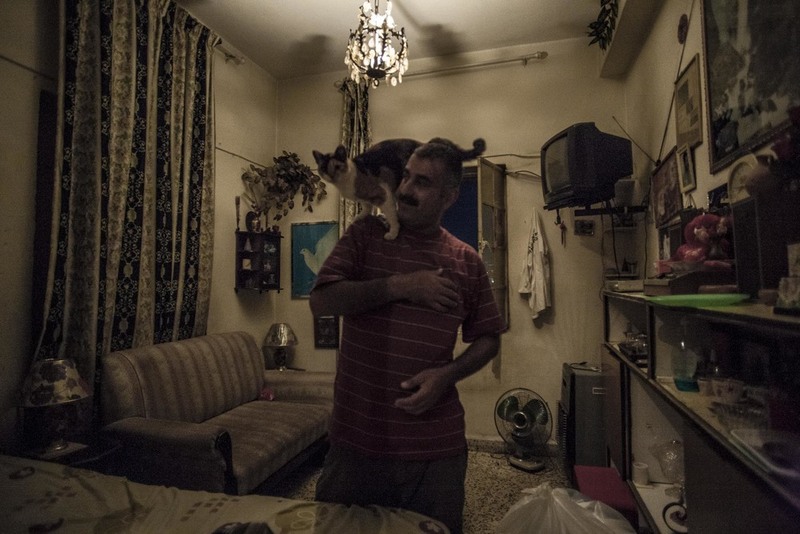 Bilal and Samer are 42 years old identical twins with a passion for animals, especially pigeons, that they have been keeping for the past 25 years on the rooftop of their family home. When they were 15 years old, they went to the Zouk to buy their first pigeons, even if their parents were against the idea. “The pigeons are in our blood, we are one with them”. Seeing them take care of the birds, one can only admire the bond between them and the animals. Both single, they live together in the family home they grew up in in Jebel neighborhood, in the old part of Amman, with an older brother. Every single day the two animal lovers feed 50 stray cats from the neighborhood, besides the ones they have in their home. The home is a big old stone house, with a garden and lots of warm charm to it. It stands perched on one of the seven hills, where they are enriched by a breathtaking panorama of the city, a view even more beautiful when their pigeons circle over it in the evening sky. "We never get tired of it, it’s relaxing". The pigeons are their life, and the moments they feel most happy is when seeing the birds flying in the sky. "No matter how far they fly they always find their way home, we are like them", the twins say. STORY FEATURED ON "CCN CONNECT THE WORLD"